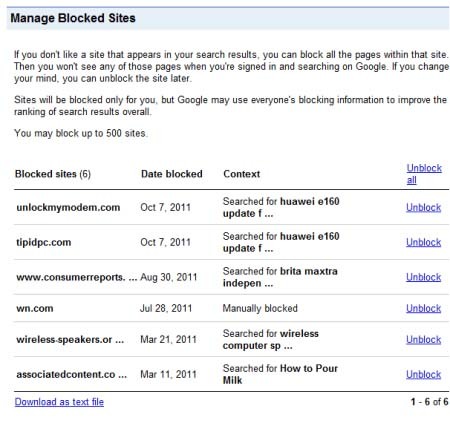 A year ago, Google has released a new feature that lets you block the sites from its search results. If you click a result and get back to the search results page, Google will display a special link next to the result for blocking the entire domain. Now, it seems that the feature has been removed from the search results. The feature isn’t mentioned by the preferences page to block the domains from Google’s results page. However, you can still see the feature to manage the blocked sites.